→ WARWICK. Festival main venue and campsite Warwick School. Numerous venues around historic town of Warwick. Booking: ⌂ by post / in person: Warwick Folk Festival Box Office, Bridge House Theatre, Warwick School, Myton Road, Warwick CV34 6PP. ⊕ Brings together leading names from around the world for a 4-day music and dance extravaganza. 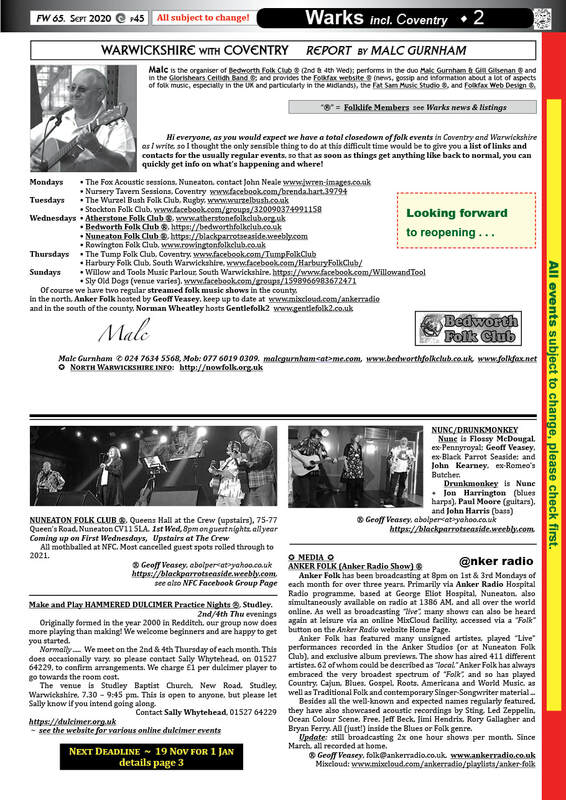 Its unique programme has something for everyone from dedicated folk fans to music lovers who are discovering that ‘folk’ covers a wide range of tastes and styles including blues, rock, country and funk. See website for full details. The campsite in the grounds of Warwick School, close to the magnificent Castle and the River Avon, has some of the best facilities of any festival site including a real ale festival bar run by the famous Fleece Inn of Bretforton. The town centre is only 10 minutes walk away; a free bus is available for those saving their energy for the evening ceilidhs. 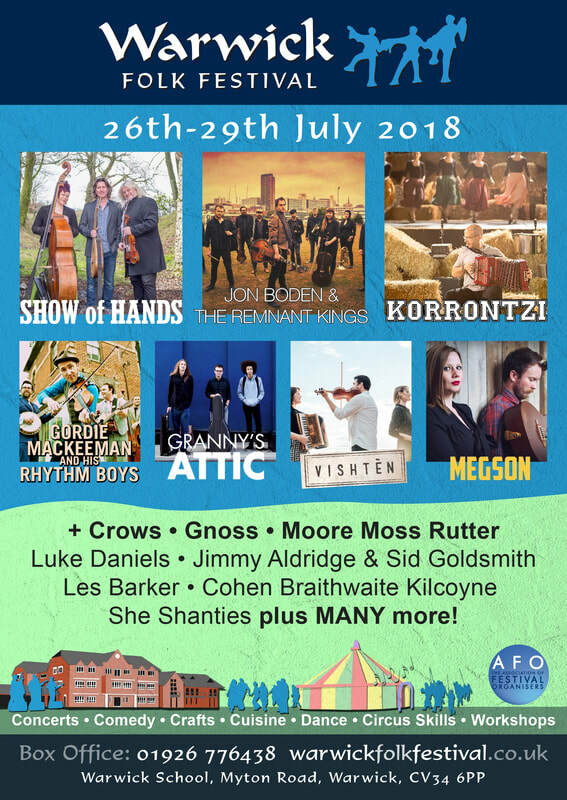 The packed programme of events offers a huge choice of concerts, ceilidhs, workshops, a crafts and music fair and lots of children’s entertainment including the ever popular Panic Circus for all the family to enjoy. Plus there’s a vast array of dance displays, pub music sessions and open air concerts in the historic town centre. Colourful and charismatic dance sides will fill the streets of Warwick with Morris styles from all over England. 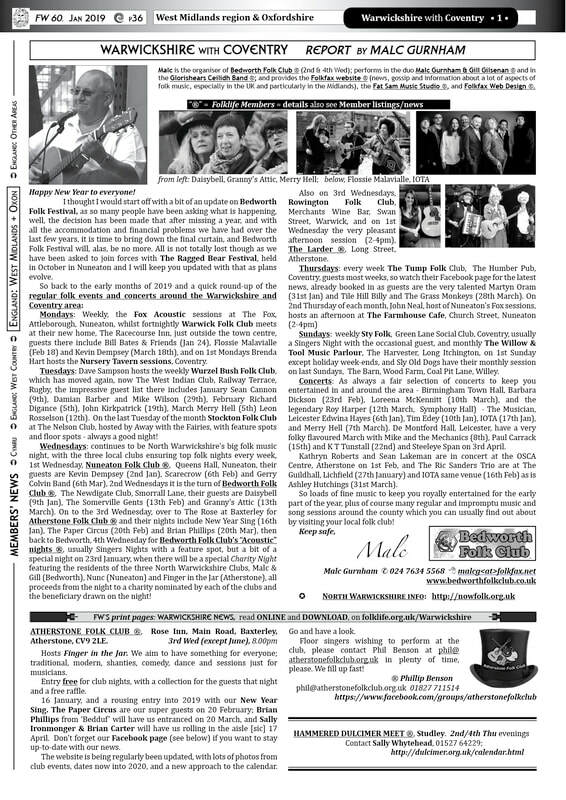 ⊕ Includes FOLKLIFE TRADITIONS pages, FESTIVAL DIARY; WORKSHOPS DIARY; LISTINGS; plus the usual folk news & some adverts.